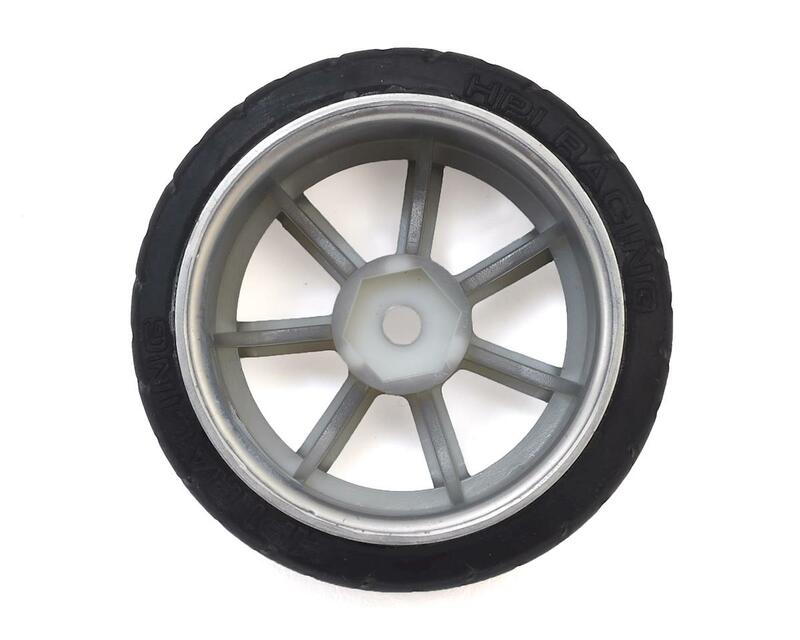 This is a pack of two HPI 26mm Wide T-Grip Tires Pre-Mounted on Chrome Rays 57S-PRO Wheels, with a 12mm Hex. 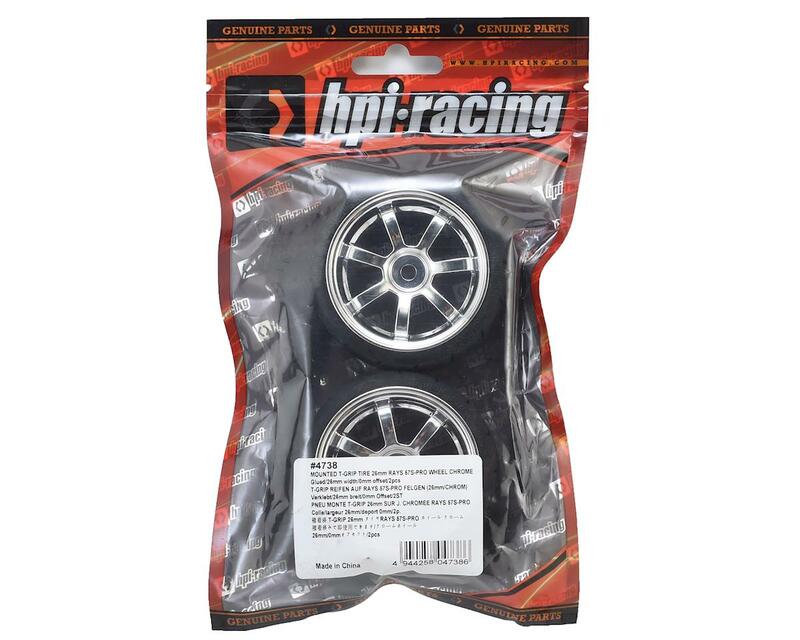 Bolt a set of long-wearing HPI T-Grip tires on your touring or street car for instant great looks and loads of fun! 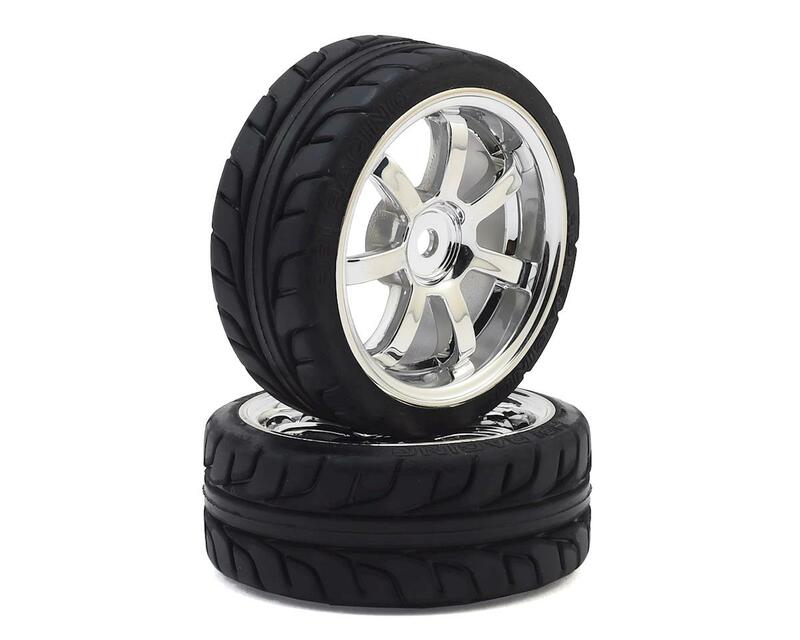 Mounted on officially licensed Rays 57S-Pro chrome wheels, there is no easier way to get your car looking great and turning heads! Sold in pairs.